In this article we are going to speak about the international shops we like the most, but since there are so many, we are not trying to cover them all. If you have been in Alcala for a while and miss your homeland food, you need to read this post! Nowadays, there are many immigrants and foreign students in Alcala, if you are one of them you probably miss many things from your homeland, but miss them no more! 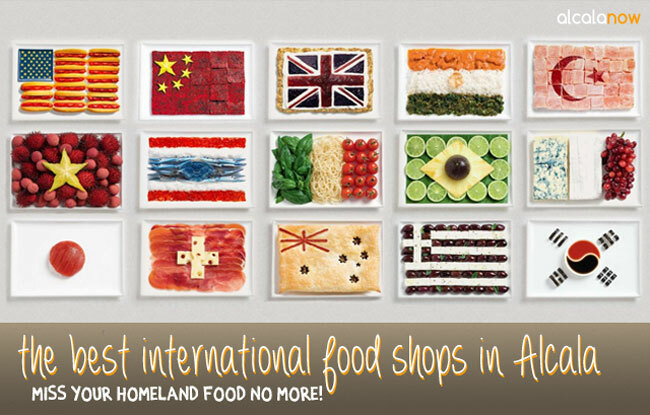 It does not matter where you come from, Alcala has so many international shops that probably there is one for you! The following shops are some of the best in Alcala. In these you will usually find food, but in some of them you may also find books, movies and many other things! You may also find some international products in large supermarkets or shopping malls such as El Corte Inglés, Carrefour or Alcampo. Alcala is well-supplied with eastern european shops, but in our opinion there is one that surpasses all the others. It is a very well assorted shop, where you can find not only food from Russia, Poland, Bulgaria and Ukraine, but you can also find books, dvds and cds. It is one of the largest Russian shops in the region of Madrid. The personnel are also very nice. They mainly have food products from Bulgaria. Romanian bakery located in the train station building, but you have to access it from the street. Currently, a lot of US-american style shops have been opened, since cupcakes and other food from the States have grown in popularity due to movies and TV series. The best is Taste of America, but there is another shop more focused on cupcakes and baked goods in Calle Angel 5. It is part of a franchise, which focuses on food from the US, primarily desserts and baking supplies but it also has sodas, cereals, sauces and some Tex-Mex food. Focused on cupcakes and baked goods. They feature a well-assorted selection of products, probably the best one in Alcala, and they do not only have food and products from China, but also from Korea and Japan. 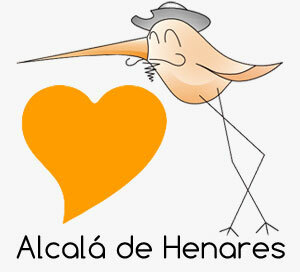 We would be happy to hear of your recommendations and favourite international shops in Alcala!